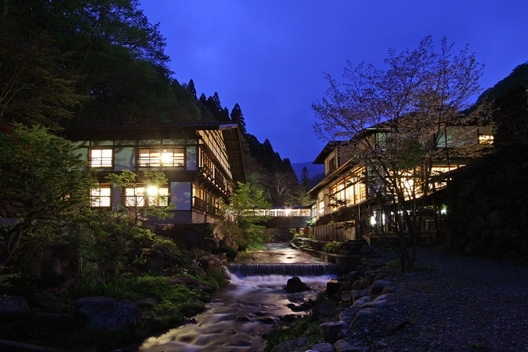 Welcome to Hoshi Onsen Chojukan at Hoshi Onsen (Hoshi Hot Spring) in Gunma Prefecture. 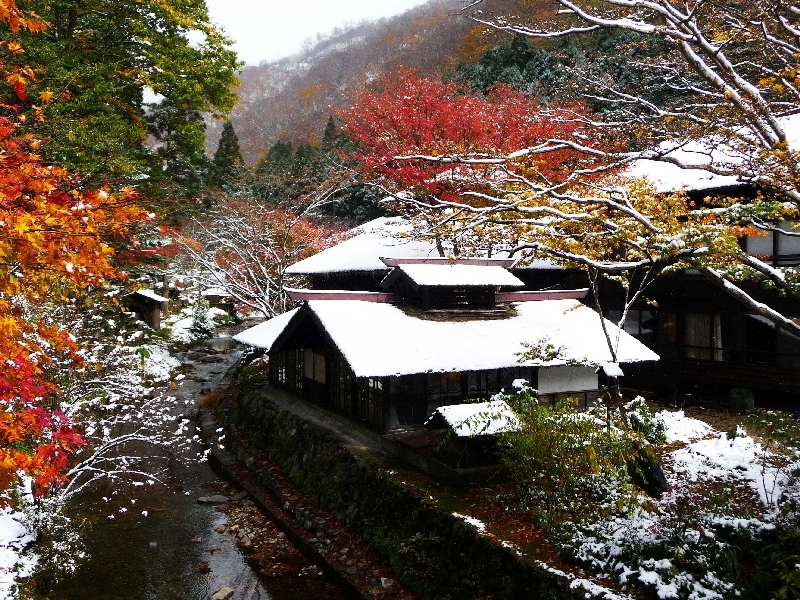 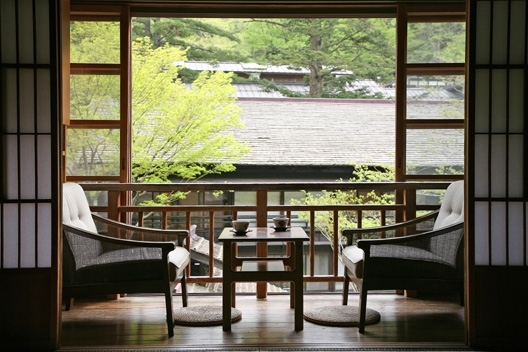 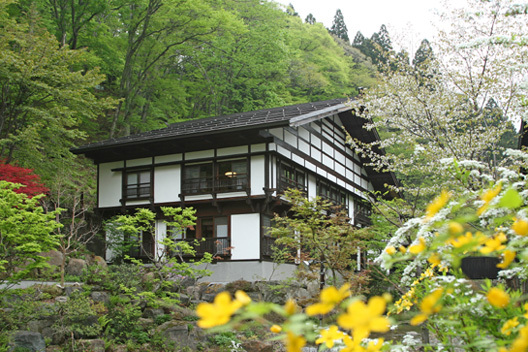 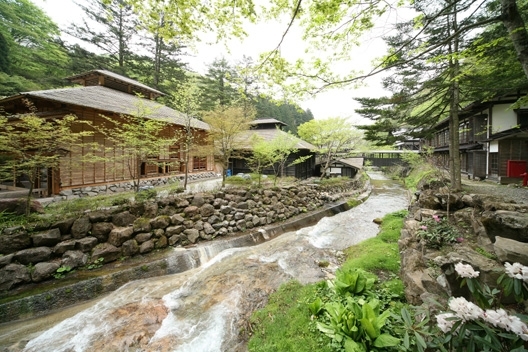 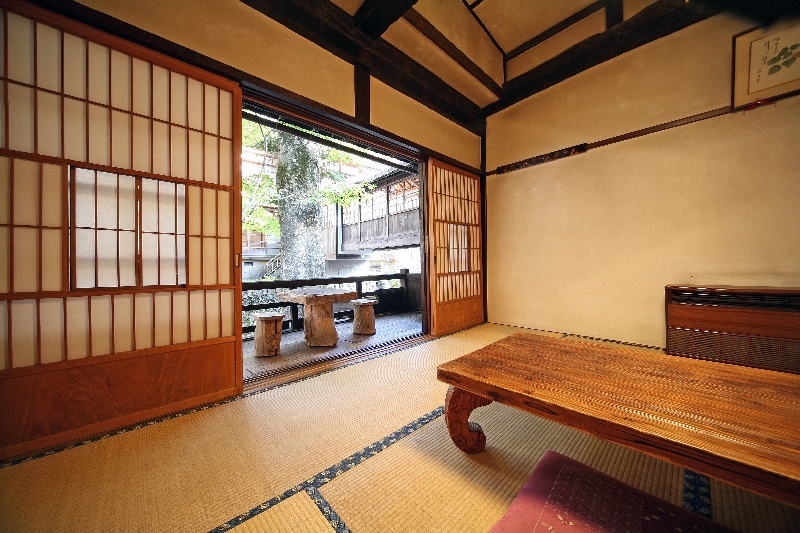 This Traditional Ryokan is the only ryokan at Hoshi Onsen and it has 37 Japanese-style rooms. 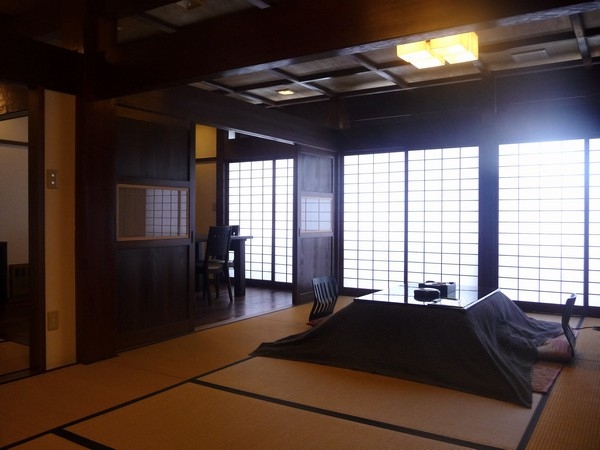 The wooden interior at Hoshi Onsen Chojukan is beautiful, and building has a lot of character - there is a covered walkway over the Nishi River and traditional Japanese hearths in many of the guest rooms. 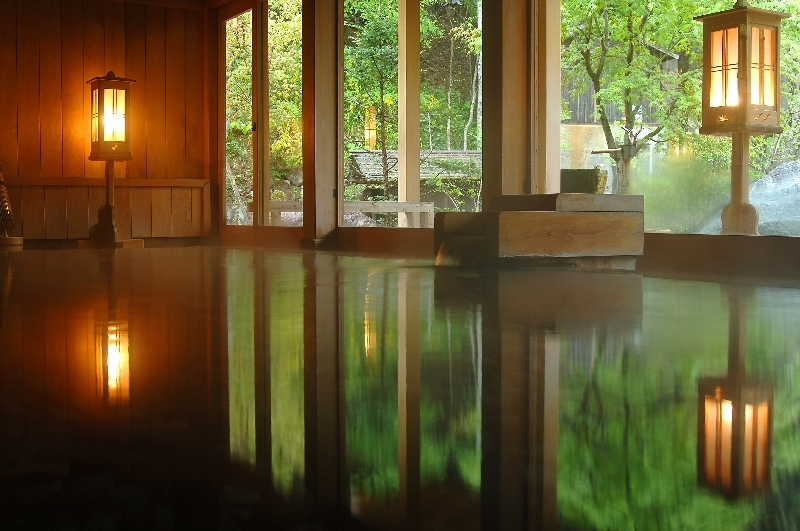 There is a very large indoor hot spring bath with mixed bathing (both men and women) except from 20:00 to 22:00 when it is reserved for women only. 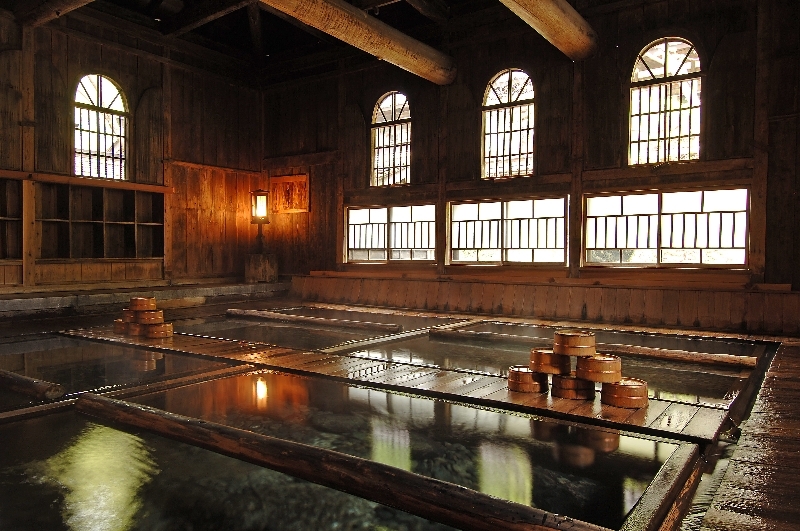 There is also a hot spring bath for women only which is open 24 hours a day. 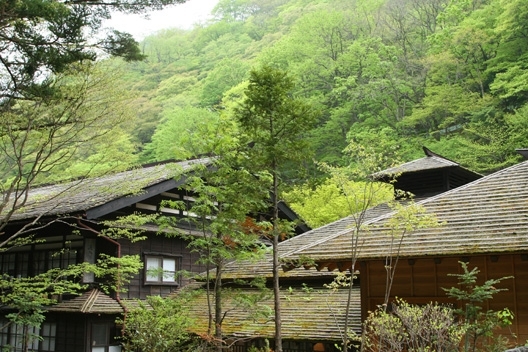 Hoshi Onsen Chojukan also has an outdoor hot spring bath for its guests, and there are separate bathing times for women and men. 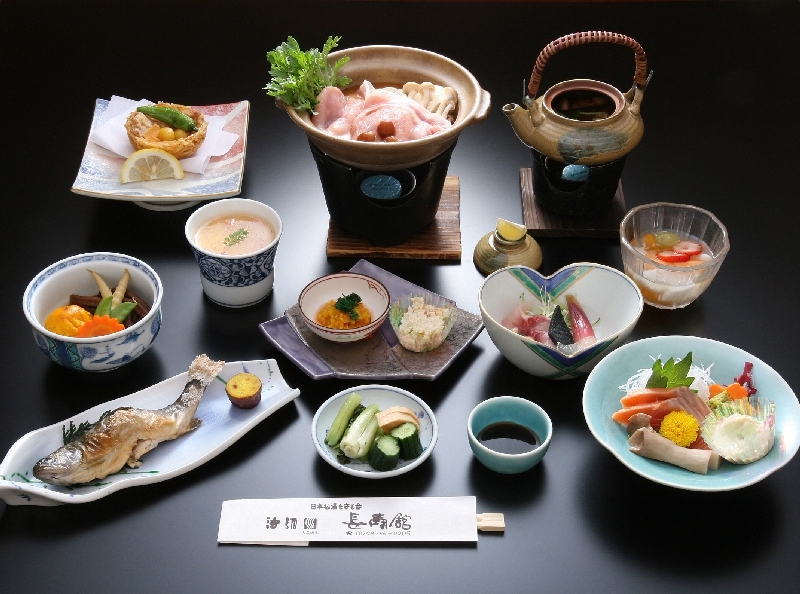 Fresh vegetables and river fish are served to the guests at Hoshi Onsen Chojukan. 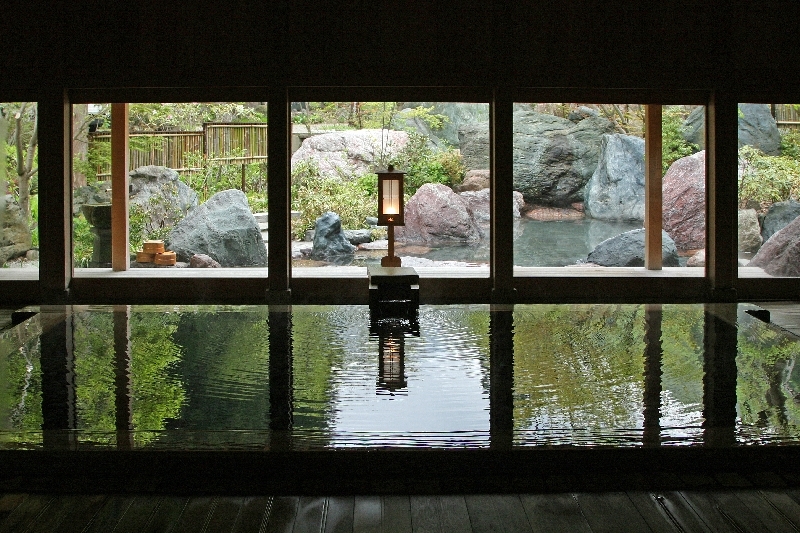 Check-in time is after 15:00 and check-out time is before 10:30 am. 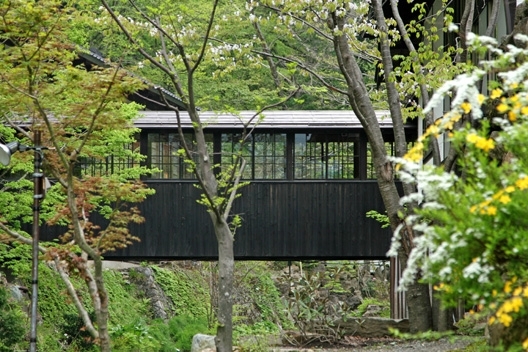 Warning: Please bring enough cash before you get on the train and go to Hoshi Onsen Chojukan. 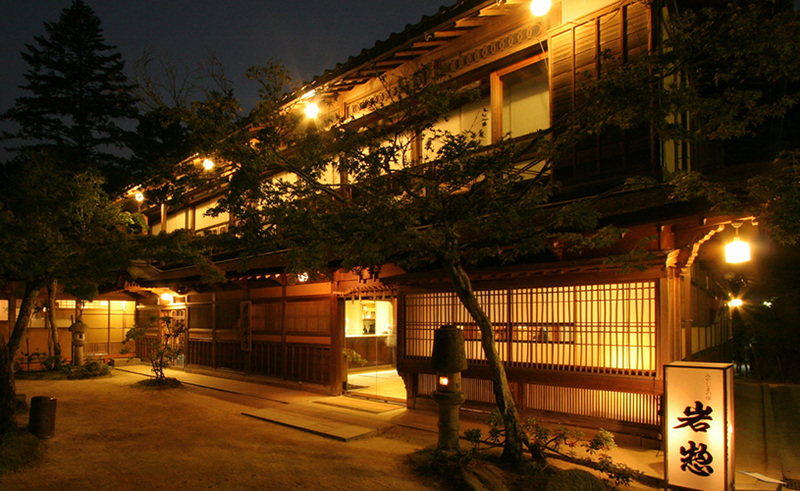 There are very few ATMs in this area.